The E.G.C. College has a long-time experience in developing and conducting special on-demand seminars and lectures for institutes, businesses and the public. The seminar's duration and the subjects it covers are decided upon according to the customer's preference and E.G.C. availability. The meetings, conducted by E.G.C. 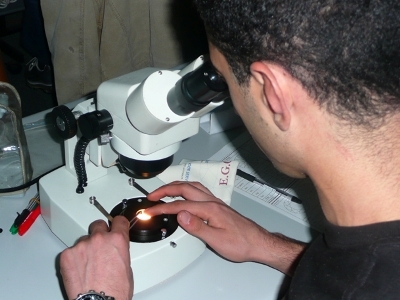 senior gemologists, are held in the college's lab-class or at the customer's preferred location. The courses are taught in English, Hebrew, French and Russian. The seminar is intended for groups and\or companies dealing in the field of gemology and jewelry. The seminar discusses several topics, such as: introduction to gemology, the techniques used to identify the main gems in the market (diamond, ruby, sapphire, emerald, pearl, turquoise, etc. ), common imitations and synthetic variations in the market, general price range for each gem, and tips regarding special care and mounting in jewelry. The seminar is intended forinsurance companies and\or appraisers dealing in the field of evaluation of precious stones and jewelry. The seminar discusses several topics, such as: the techniques used to identify the main gems in the market (diamond, ruby, sapphire, emerald, pearl, turquoise, etc. ); the general price range for each gem, common imitations and synthetic variations in the market and how to identify them; common treatments in the market and how they impact on the price; geographic localities for each gem and how they impact the price. EGC College offers customized lectures and seminar sessions on gemology- and gem trade-related areas, according to the customer's needs. 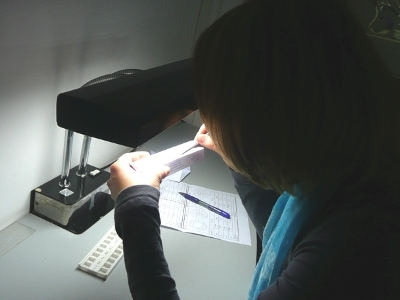 The meetings, which include comprehensive explanations and practical exercises with stones, are held at the college's lab-class or at clients' home, and guided by a team of experienced EGL Platinum gemologists. For more information about these courses, click here.